Well, what are you waiting for? 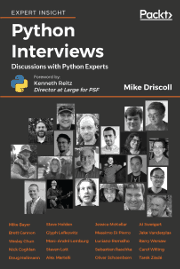 Click the “more” link and start reading! This is a super easy trick to accomplish. Let’s take a look at some code so you can see just how simple it is! There are only two things in here that we really care about: the event binding and the event handler. The binding is simple: gridlib.EVT_GRID_CELL_RIGHT_CLICK. Note that you need to use the grid’s event and not the general EVT_RIGHT_CLICK. 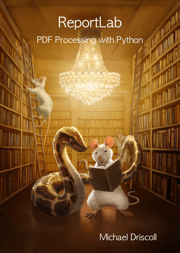 The event handler comes from the wxPython demo. In it, you just build the menu on the fly and then display it by calling the PopupMenu method. The menu will be destroyed when you click outside the menu or when you make a choice and said choice’s method call(s) has finished. Sometimes you want to know which cell you are right-clicking on specifically. Why? Well if you want to do a context menu, then you’ll need to know which cell you clicked on. The code above doesn’t really tell you that. It just creates a little pop-up menu. 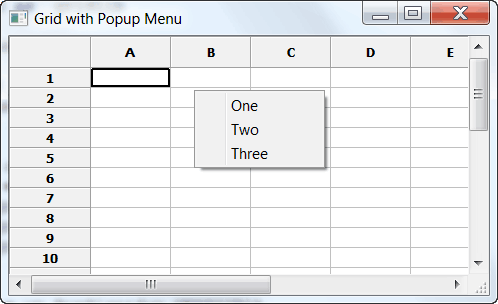 Thus you can use the following snippet and combine it with the previous one to create a context menu. You are probably wondering why we’re binding to the generic wx.EVT_RIGHT_DOWN instead of the grid’s EVT_GRID_CELL_RIGHT_CLICK. The reason is that the grid’s right click event doesn’t give us X/Y coordinates. We need those coordinates to pass to the grid’s CalcUnscrolledPosition method. That in turn will give us the X/Y position relative to the grid to pass to another grid method, namely XYToCell which will return the row and col we right clicked on. This will give us the information we need should we want to create a context menu based on a specific cell. UPDATE: Some might thing this is doing it the hard way and they may be right. Why? Because while the event object that is sent by EVT_GRID_CELL_RIGHT_CLICK doesn’t have the GetX/GetY methods, it DOES have GetRow and GetCol methods. So you could use it after all. If you want to translate from an arbitrary pixel point, the above method is the way to go. If you want to be a tad cleaner, then you may want to bind to EVT_GRID_CELL_RIGHT_CLICK instead. Putting tooltips in grids can be somewhat difficult to figure out. 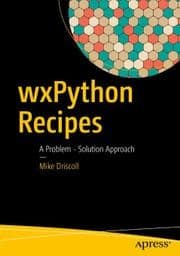 I spent a lot of time on it before finally asking for help on the wxPython mailing list. I wanted to know how to put tooltips in a certain column and make them change as I went over the various cells. The first method suggested worked great until I had to scroll the grid. 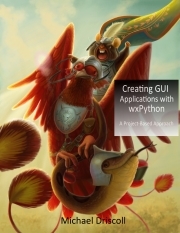 Fortunately, Robin Dunn (creator of wxPython) had the answer for that issue too. 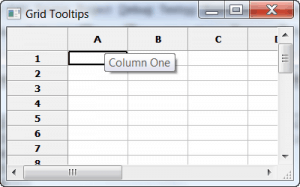 The following code will also show how to put tooltips on column and row labels. The first step entails getting the cell’s row and column coordinates using CalcUnscrolledPosition(event.GetX(),event.GetY())/ This will return the x/y coordinates that we can use XYToCell to get access to the actual row/col. The third step would be to grab the cell’s contents using GetCellValue, but since I don’t care about that in this example, I just set the tooltip by using this: event.GetEventObject().SetToolTipString(msg). I thought it was pretty neat. Also note the alternative method for the original binding of the event that I commented out. That was an ugly hack, but it worked as long as I didn’t have a scrollbar (I think). 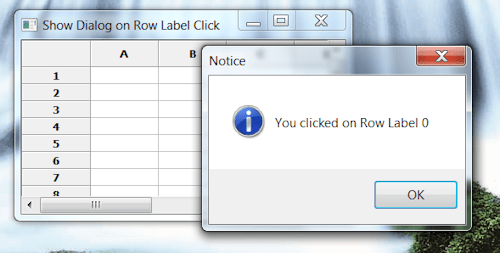 The next tooltip-related tricks are related in that they both deal with putting tooltips on labels; specifically, you’ll learn how to put tooltips on row and column labels. The binding and the handlers are essentially the same, you just need to specify row or column related method calls. 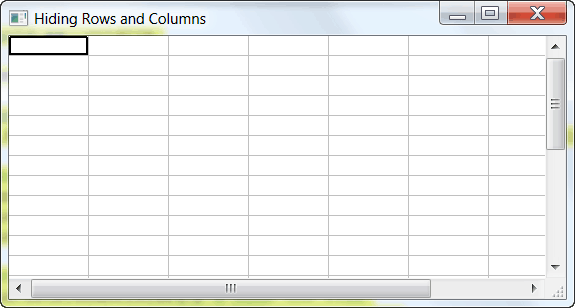 For example, the column binding is GetGridColLabelWindow and the row binding is GetGridRowLabelWindow. The next step is to get the column or row that you’re mousing over, so we use XToCol for the column and YToRow for the row. 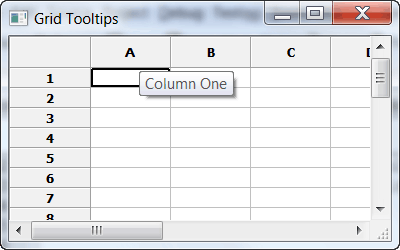 Finally, we make a call to GetGridColLabelWindow().SetToolTipString to set the column’s label tooltip. The row is almost exactly the same. all other key strokes to pass through the handler. Catching key events in a grid’s cell is a little tricky. First you need to bind a handle to the EVT_GRID_EDITOR_CREATED event like this: self.grid.Bind(gridlib.EVT_GRID_EDITOR_CREATED, self.onCellEdit). Then in the handler you need to get a handle on the cell’s editor which is created when you start editing the cell. To do that, you need to use event.GetControl(). Once you have that handle, you can bind wx.EVT_KEY_DOWN to it and catch key events. 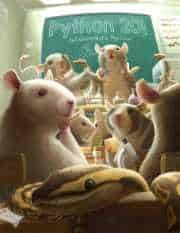 In the code above, we bind this event to the onEditorKey in which we check to see if the user has pressed one of the arrow keys. If the user did press one of them, then we use the MoveCursorXX method to move the selected cell in the specified direction. If the user did not press an arrow key, then we don’t do anything. Note that we need to call event.Skip() regardless. The reason is that we want the keys to continue to be processed. If you don’t call Skip(), then most of your typing will not do anything. In the code above, all we needed to do was bind to the grid’s EVT_GRID_LABEL_LEFT_CLICK event and then create or show a dialog in the event handler. Simple and easy to follow, I hope. Changing a grid’s row or column labels is very easy; but don’t take my word for it. Look at the code instead! As you can see, all you need to do to change a column’s label is call SetColLabelValue. 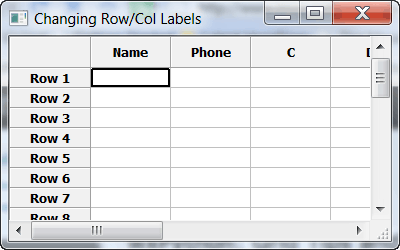 The grid also has a similar method for the row: SetRowLabelValue. Just pass in which row you want to change and the string you want it to display and you should be set. Well, that was a lot of code. 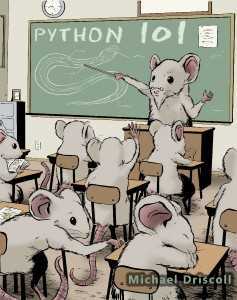 I hope you’ve learned a lot of cool tricks that you can use in your current and future projects. Let me know what you think in the comments!